We provide webmasters the opportunity to promote and sell our products to users and visitors and earn up to 80% of each sale they make. The co-operation relationship will be approved automatically. If you have any questions, please don't hesitate to contact us at: affiliate@mediadimo.com. Good News is that: New affiliate program is coming soon! Be Dimo affiliate? Dimo Affiliate Program is a cost-free, highly-rewarded and the most easy-to-operate affiliate program that allows you to earn max $600 per day for the orders you sell for us, so we welcome any personnel/company to challenge marketing campaign champion, to help our faithful affiliate fast growing up together with Dimo, we provide variety marketing materials, sources and even great benefits of earning up to 80% to gain market favorites. Large sales commission share of up to 80%. The First-hand of Dimo sales discount promotion and software updated information. The product sales promotion activities are synchronous as our official Dimo website. Free joining fee, free working place, even you can work at home/travel if you have enough leisure time. The same product price list and offers as our official Dimo. 100% trace. You will get a portion of every of sale you generate through your website, online store, download catalogue or software review, which will be saved for 120 days. Custom affiliate link types such as generic vendor website link, specific product purchase link, and even download trial link, etc. Without written permission from Dimo, any affiliate cannot offer additional coupons, bonuses or incentives to users. please kindly contact us (affiliate@mediadimo.com) if you have any further requirements. Without written permission from Dimo, any affiliate should not use "DimoMedia", "Dimo", "mediadimo.com", "dimomedia.com", "Dimo official", "DimoMedia" official or similar words in any promoting activities and advertising. With written permission from Dimo, any affiliate cannot reproduce Dimo products in any way or submit our products to other websites by changing Dimo product name or the same product name. 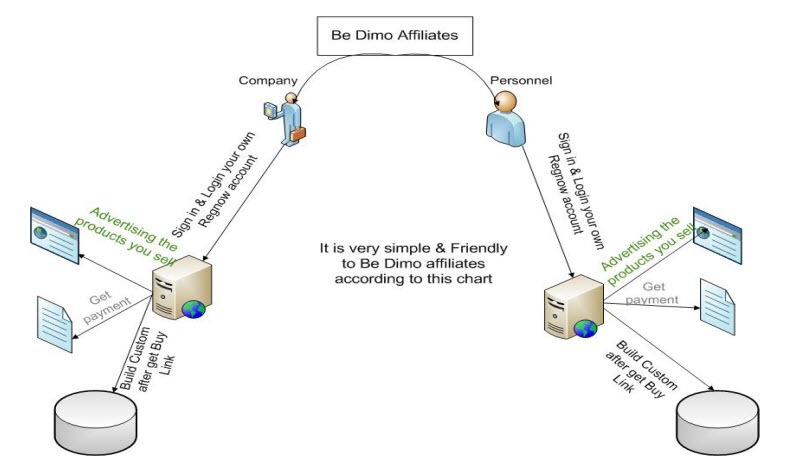 Affiliates should not exaggerate the functionalities of Dimo products in any form. Affiliates are not allowed to use the protected keywords include but not limited to: Dimo, Dimo soft. Affiliates are not allowed to link directly to the web site www.mediadimo.com from search marketing campaigns. Affiliates are not allowed to display our domain in the URL displaying field. Affiliates are not permitted to use Dimo protected keywords as part of their domain name included but not limited to: Dimo, MediaDimo, Dimo Soft, MediaDimo soft etc. Affiliates cannot copy or imitate any page/content from official Dimo websites. Otherwise, changes should be revised within 48 hours after Dimo inform rights violation. Dimo reserves the right to remove any affiliate and/or withhold commission payouts at their own discretion based on affiliate behavior and compliance with our terms of service. All rights are reserved by Dimo Studio. Get Share-it exclusive custom version. Download Share-it Trialware and host it, or just simply link to Share-it custom builds. https://order.shareit.com/cart/add?vendorid=200270143&PRODUCT=1&COUPON1=vcwlweb&affiliate=XXXX, where 300798768 is product ID mentioned above and XXXX is your affiliate ID. In this way, it will guides customer directly to the products' order form. While the customer's visit is traced (by cookies), so you could still get credit for sales even after they decide to order at a later time. 1. Please sign up here to get an affiliate ID. Note: All Affiliates will be automatically approved. 2. Browse and choose which Dimo products you prefer to sell. a. Get the product ID you prefer to sell, where you can get the Buy Now Links among the Product Finder. b. View and click the Sales Links tab from the product pop-up windows. 3. Build your custom version. Users who are undecided about a purchase can try before they buy, which thereby extend your sales opportunities. The Buy Now Links of custom version products are embedded with your affiliate ID, which can ensure to track your every sale from custom version. After selecting a product to sell, you'll want to select a banner, boxshot or other image for use on your web site. There are two methods to get those resources. 1) Log in to Control Panel and get the boxshots and screenshots links from Relationship Product Detail Tab. 2) We have seasonal promotion posted on the Promotion page. You can get the newest resources there. After your customers make a valid purchase on your site or the visitors from your link ID, they will come to our site make a valid purchase automatically. 5. Get payment. Your every order is absolutely traceable and you can get your commission from every order you sell immediately.